Adding a 20 amp, 240 volt circuit to your home is only slightly more involved than wiring a 120 volt circuit. 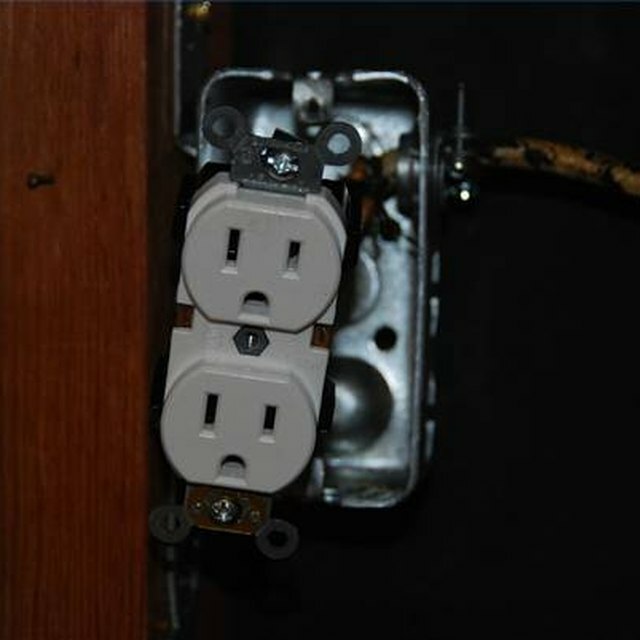 Once you have installed the outlet, routed the proper 12-3 with ground NM (nonmetallic sheathed electrical cable) wire back to the breaker box, and snapped the correct 20-amp double pole breaker into the box, all that remains to do is connect the wire leads to their proper locations. A 240 volt circuit is just like a 120 volt circuit, except that it has one additional (red) wire. Strip 1/2 inch of insulation from the ends of the white, black and red wires of the new circuit. Locate the ground and neutral bus. It will be a metal strip with holes and screws in it, with bare and white wires connected to the holes. Locate two empty holes and loosen their corresponding screws with the screwdriver. Insert the bare wire of the new circuit into one of the holes. Tighten the screw to secure it. Insert the white wire into the other hole, and tighten the screw to secure it. Loosen both screw terminals in the new breaker. Insert the black wire into one terminal and tighten the screw to secure it. Insert the red wire into the other terminal and tighten the screw to secure it. Fold the excess wire back into the box. Reinstall the panel cover. Replace the panel cover before you switch the main breaker back on. Although it seems that you could insert both the white and bare wire into the same hole in the ground/neutral bus, doing this would not meet code and could result in increased danger of electrical shock. If this is to be an outdoor circuit, use UL or other cable rated for outdoor use.